The European Union Pacific staff took to the beach at My Suva Park today on a cleanup campaign. 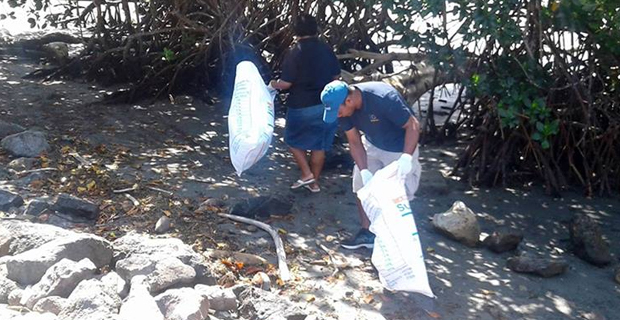 EU Ambassador to Fiji Julian Wilson says every year millions of tons of trash end up in the oceans and the EU and Fiji are determined to prevent the bleak prospect of that becoming a reality. Wilson says the EU is organising the Our Ocean conference in Malta where global leaders will come together to present measurable commitments to ensure cleaner healthier and safer seas. He says the European Union will commit $FJD107 million at the conference to support sustainable fisheries for food security and economic growth in the 15 countries of the Pacific. The Ambassador has also made a commitment today to supply the Suva City Council with recycling bins.